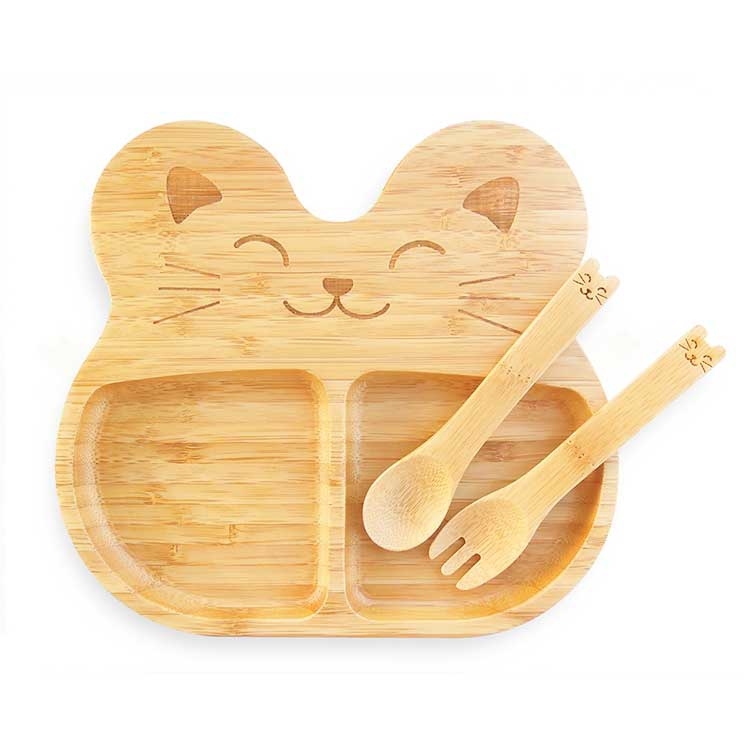 The Bamboo Plate and Cutlery set is made of 100% natural bamboo and beautifully hand finished. It is toxin free and safe for your children. The curve inside the plate is designed for your baby to scoop food with ease.